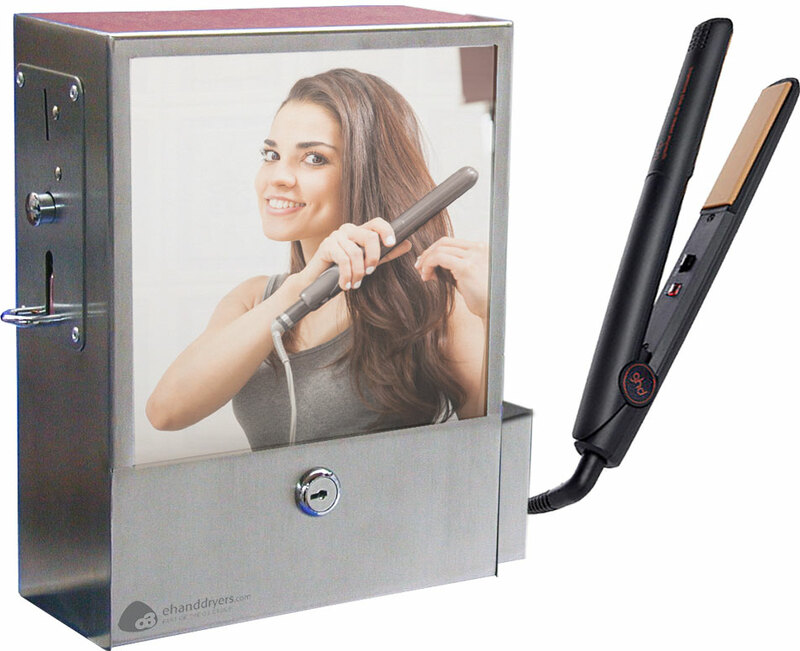 This coin operated hair straightener vending unit is ideal for an additional income stream for nightclubs, public bathrooms, holiday parks, leisure clubs etc. The vandal resistant stainless steel unit has a highly polished unbreakable mirrored front and accepts tokens, sterling or euro coins with adjustable timer. The coin-operated hair straightener unit is easily wall-mounted and can be supplied with either Babyliss or GHD hair straighteners. Because of the high temperature used in the hair straighteners the plates remain sterile. Available as push button unit (shown) or with coin or token mechanism.